Florida has always been a family favorite. With great sunny weather and destinations like Disneyworld and Universal Studios, the state is packed with visitors of all ages year round. 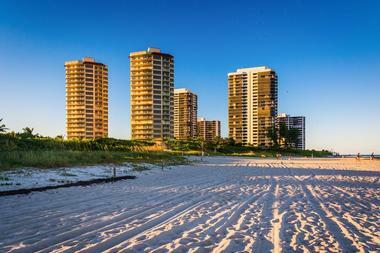 Florida is full of great nature, with beaches, islands, and great attractions for the whole family. 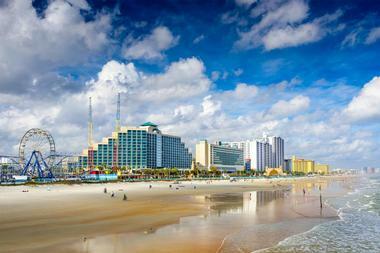 Parents and fans of NASCAR will know the name Daytona Beach for the Daytona International Speedway, home of the Daytona 500 race. 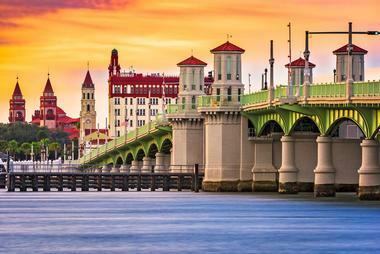 But there’s a lot more to this city, which has miles of picture perfect beaches, some of which can even be driven on! Families can rent surfboards, kayaks, jet skis, and even motor vehicles like scooters and Segways on the beach, or head into the city for attractions like the Charles and Linda Williams Children’s Museum. Daytona Beach Aqua Safari offers a 90 minute mini-cruise led by marine biologists, and the Old Spanish Sugar Mill is a historic building that has now been turned into a pancake house where guests can grill their own pancakes made from grain ground right on site. What is fun for kids might not always be fun for the entire family, and with this in mind the St. Petersburg/Clearwater area is working hard to ensure that family fun actually means fun for the entire family. 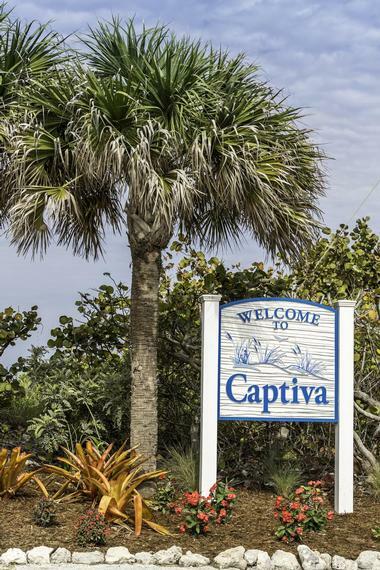 All throughout town guests will find entertaining attractions, such as the fully equipped playground and beach campsites at Fort De Soto Park as well as the beachfront restaurants in Treasure Island. For activities that are certain to help cool the family down head to the Clearwater Marine Aquarium to not only see amazing wildlife, but at the same time support this regionally significant nonprofit rescue and rehabilitation center. 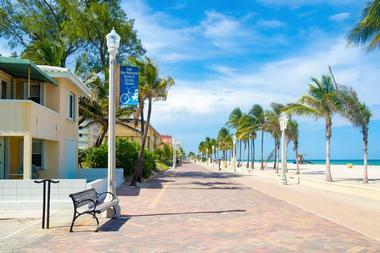 Deerfield Beach was originally named for the huge numbers of deer that roamed the area, but today the beaches and streets of this city are much more populated by beachgoers and vacationers. 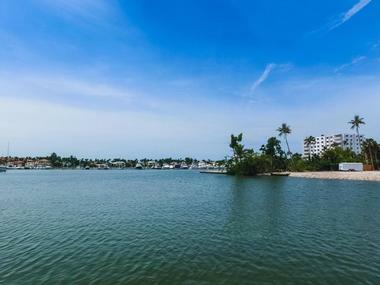 In Deerfield Beach, the beachfront has a lot of quiet, secluded areas that are much more peaceful and less hectic than some of the major beaches in Florida. Quiet Waters Park is home to a cable water ski system on the lake, as well as amenities for fishing, bike trails, sports facilities, and a campground. 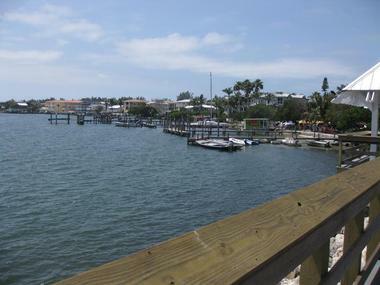 Other activities include Island Water Sports, where visitors can rent kayaks and surfboards, or the Deerfield Beach boardwalk, with gorgeous views of the water and accessible paths for walking, biking, and roller skating. Delray Beach is a great destination for not only families with young kids, but families traveling with elderly members as well. With resorts, private accommodations, hotels, and rental homes, Delray Beach can accommodate even the largest of families with whatever commodities they need. 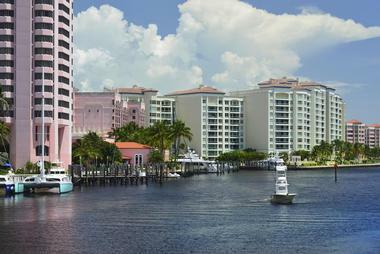 Atlantic Avenue has shops and dining options as well as a great view of the water, and at Delray beach Watersports, visitors can rent kayaks, paddleboards, sailboats, and even snorkeling equipment that can be used to find the shipwrecked ship SS Inchulva, which is located just off the beach. Mini golf, a beautiful nature center, and even a unique pinball machine round out the experience, offering something for everyone in the family. 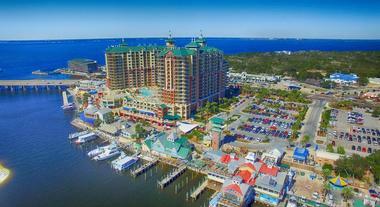 The city of Destin, located in the Florida Panhandle on what’s known as the Emerald Coast, is known for its sugar-white sands and the stunningly vibrant turquoise waters of the Gulf of Mexico. The beaches are amazing for swimming, splashing, building sandcastles, and exploring, and on land there’s the Track Recreation Center, with bumper cars, mini golf, and a three story track for go kart racing. There’s also Big Kahuna’s Waterpark, a fun family attraction with waterslides and a lazy river. Families staying in Destin can also choose to go snorkeling, parasailing, or spot dolphins from a mini cruise excursion out on the water. With over one and a half million acres of wetlands located at Florida’s southernmost tip, Everglades National Park contains some truly beautiful and unique nature. Full of sawgrass marshes, pine flatwoods, and coastal mangroves, Everglades National park contains an abundance of wildlife, including West Indian Manatees, alligators, leatherback turtles, dolphins, and even the Florida panther. From atop Shark Valley’s observation tower, visitors can see the glades from above and keep their eyes open for wildlife and birds. 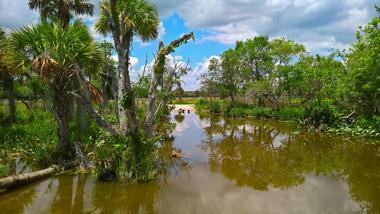 Everglades National park can be explored by bike, by canoe or kayak, or on foot. The park has three entrances and they are not all connected, so visitors should plan ahead before stopping for a visit. The tropical islands that extend for over 120 miles off the coast of the Florida mainland are known as the Florida Keys, and they are a hotspot for vacation activities. The Florida Keys are well known for many reasons, including as the home of Ernest Hemingway, inspiration to musician Jimmy Buffett, and for a long and storied history. Visitors to the Florida Keys will find ample opportunity for snorkeling and scuba diving in the warm waters of the Atlantic and the Gulf of Mexico, and families staying in the Keys can take a ride on a glass bottomed boat to see John Pennekamp Coral Reef State Park, swim with dolphins, fish, swim, and more. 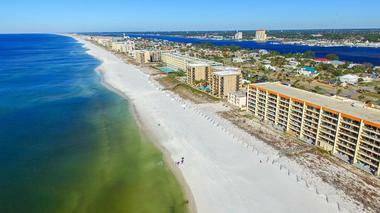 Fort Walton Beach, part of the Emerald Coast of Florida, which is known for the deep green waters of the Gulf of Mexico, is simply beautiful. The long line of beachfront property at the water’s edge has the typical soft white sand of the region, and families will enjoy relaxing, sunbathing, and playing in the sand as well as in the water. 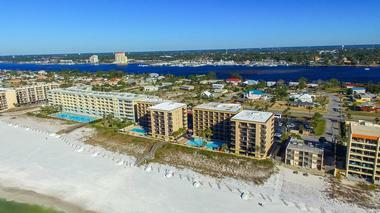 Fort Walton Beach is much less crowded than nearby Destin or other big Florida beach towns, but it still is packed with attractions for visitors of all ages, and makes a great destination for families. Visitors can meet dolphins and stingrays at the Gulfarium Marine Adventure Park, and learn about the past at the Indian Temple Mound Museum. With a huge fishing pier, cultural centers, and all the action that a beach town has to offer, visitors in Fort Walton Beach will never be bored during their stay. Hollywood, Florida is known throughout the state for its long, beautiful beaches, which stretch along the coast offering a picture perfect beach vacation. Visitors to Hollywood Beach can enjoy oceanfront hotels and resorts for their stay, which offer immediate access to the sandy white beaches just steps away from their doors. With 2.5 miles of boardwalk packed with shops, cafes, and restaurants, Hollywood Beach provides a full range of amenities to its guests. As far as other attractions go, families will enjoy the Young at Art Children’s Museum, the Ann Kolb Nature Center, and the Sawgrass Recreation Park. 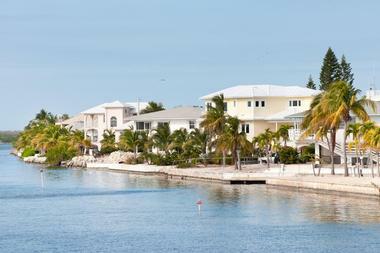 The city of Key West is located on an island, part of the archipelago known as the Florida Keys. Key West is known for bustling and busy Duval Street, which is full of shops, restaurants, and nightlife, as well as for being the home of Ernest Hemingway. There is a marker along the water’s edge that points out Key West’s southernmost border, which happens to also be the southernmost point in the continental United States. Although there are some beaches in key West, the island is much more well known as a destination for snorkeling and scuba diving, mostly due to the large and vibrant coral reefs that exist just off shore. A barrier island along the Gulf of Mexico, Marco Island has four miles of beautiful beaches full of that famous white sugar sand, which is soft and comfortable for bare feet even in hot weather. This relaxed island is located close to Naples, Florida, and has lots of activities and attractions aimed for the enjoyment of the whole family. Water sports, parks, and of course, beaches abound, and the tiny islands just off the coast of Marco island provide some really cool opportunity for exploration. Guests can take a dolphin cruise to spot pods of these extraordinary creatures jumping and playing in the water, or explore the barrier islands and mangrove forests of the region from a jet ski. On land, vacationers can tour the area on a rental bike or Segway. Bienvenido a Miami! This well known city has a certain reputation, particularly when it comes to partying and nightlife, but what a lot of people don’t realize is that Miami is a great destination for families as well. Miami Beach, South Beach, and all the beachfront area overlooking Biscayne Bay are beautiful, and as some of the most well known beaches in the world they are well maintained and full of amenities for guests. 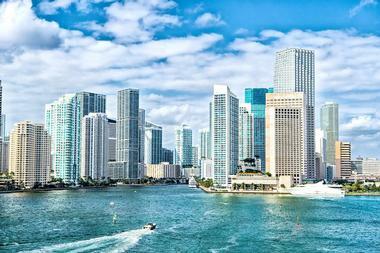 Attractions in Miami range from art and cultural museums to ghost tours in Miami’s historic downtown area. Families can also partake in boat tours on the water, boating or exploring at Biscayne National Park, and swimming or snorkeling at the beach. The Southwest Floridian city of Naples is widely known for its sophistication, especially when it comes to dining and shopping. Visitors in Naples will find amazing food, which they can enjoy with a beautiful view of the setting sun over the water. Families staying in Naples will discover its vibrant culture, one that is iconified in the galleries, shops, historic buildings, and the Naples Pier, which was first built in 1888. 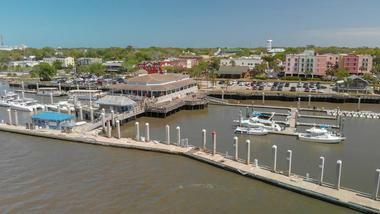 From the pier, visitors can go fishing or occasionally spot dolphins, and on either side of the pier are miles and miles of sunny, perfect sugar sand beaches perfect for water activities and relaxation. When it comes to family destinations in Florida, Orlando is pretty much the mack-daddy of them all. Orlando is home to several world-renowned attractions, such as Universal Studios orlando, SeaWorld, and of course, DisneyWorld. Families staying in Orlando have a massive wealth of options when it comes to attractions and accommodations, many of which are located right within the parks themselves. Disney and Universal have great resorts right on the premises which include access to the parks, and everything in them, from the Wizarding World of Harry Potter to Cinderella’s Castle at Magic Kingdom, are perfect for making magical memories with family. Panama City Beach is located on the coast of the Gulf of Mexico, with miles of beautiful beaches and clear, calm waters that are crystal clear and great for swimmers of all ages. 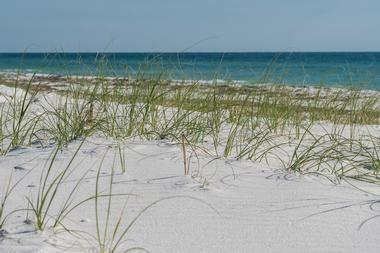 Visitors to Panama City Beach can visit St. Andrews State Park, where they will find campgrounds, boating, fishing, and nature, or swim with dolphins at Gulf World Marine Park. On rainy days or if sunburn starts to hurt, kids can explore WonderWorks, which is a science museum that contains three stories of activities and games for kids like laser tag, a virtual roller coaster, and a hurricane simulator. Ripley’s Believe it or Not Museum is also in Panama City Beach, as is Shipwreck Island Waterpark, where parents and kids alike can have fun racing down water slides or relaxing on a tube in the lazy river. Watching dolphins jump in the water, learning about marine life, or taking part in hands-on science exhibits are just some of the fun that awaits kids and families in Sanibel and Captiva Islands. These islands are linked to the Florida mainland by a chain of three bridges known as the Sanibel Causeway, making access easy for visitors. On the island, guests can stay in a number of kid friendly hotels and resorts, and during the day they can visit the Sanibel Lighthouse with its great views, or hunt for shells during the Sanibel Stoop after a storm. For a look at Florida’s marine life, guests can take a Captiva Cruise on a double decker boat to spot dolphins or watch the sunset. 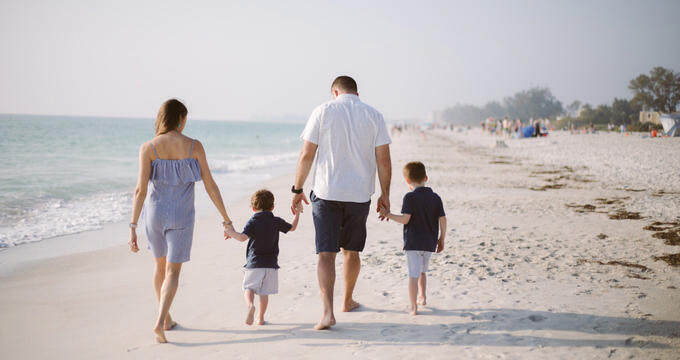 With sandy beaches and warm, shallow waters that are perfect for kids learning how to swim, Siesta Key is a great place for families to take a vacation. The barrier island, easily accessible from Sarasota, has a laid back island vibe that you can feel immediately after stepping foot on its ground. Siesta Key doesn’t have the big resorts and chain hotels of other Florida locations, and the private home rentals and boutique hotels make it a much more personable, cozy experience, almost like staying with family or friends. Restaurants in Siesta Key keep their freezers stocked with plenty of flavors of ice cream, and most of them have pizza or other kid-friendly items on their menu. On the Northeast Atlantic Coast of Florida, Amelia Island is part of a large chain of barrier islands with a lot of history under the rule of the British, French, and Spanish. But today, this all-American vacation spot is known for its resorts and beaches, many of which are well-suited to families. Families traveling on Amelia Island can enjoy the sunshine on the beach as they search for shark’s teeth or seashells, or ride horses in the shallows of the ocean. The island is full of family-friendly attractions and entertainment centers, with boardwalks and plenty of snack shacks and ice cream stands to keep the little ones - and their parents - fully satisfied. 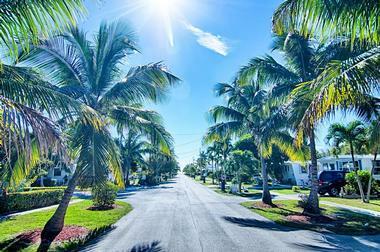 Located on the Gulf Coast of Florida, Anna Maria Island has plenty of family appeal. With over 7 miles of beautiful sandy beaches, with white sugar sands that are soft beneath bare feet, Anna Maria Island provides ample opportunity for swimming, sunbathing, and building sandcastles. Accommodation in the area is easy to find and versatile for whatever you need - be it a two-bedroom condo, a standard hotel suite, or a full house with bunk beds, a kitchen, private swimming pool, and a ping pong table. Anna Maria Island is only an hour’s drive from Bush Gardens in Tampa, and only two hours from Disney, so it’s well located for day trips, and the island itself has beautiful nature trails, great shopping boutiques, and more. 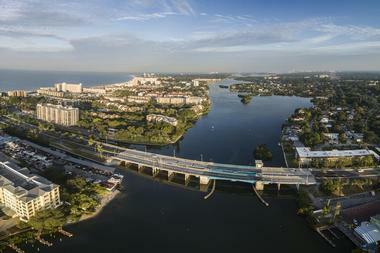 With its reputation for golf courses and parks, Boca Raton is pretty well known in the retirement community, but it’s actually a great place for families as well. Known locally as a ‘City for All Seasons’, Boca Raton has mild weather year round, and beautiful sunshine to go along with it. Kids and adults can learn about nature and Florida habitats at the Gumbo Limbo Nature Center, where they will take part in interactive exhibits that teach them about Florida’s sea turtles, walk on gorgeous nature trails, and visit butterfly gardens. Nearby Sugar Sand Park has a massive playground, a carousel, and even indoor activities like a Children’s Science Explorium, an indoor gym, and a community theater. 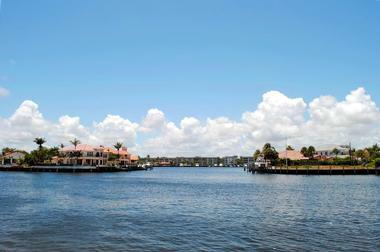 Just south of the city of Tampa, on the Manatee River, is the city of Bradenton. 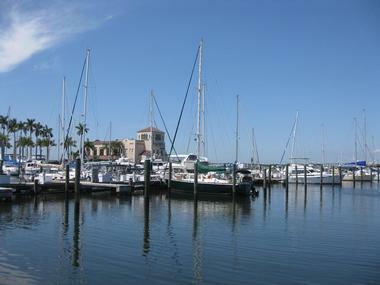 Downtown Bradenton has a beautiful and scenic Riverwalk as well as a vibrant art community in the Village of the Arts. Families can explore historic buildings from the past in Manatee Village Historical Park, which includes an old one room schoolhouse, a bunkhouse that was used by Florida cowboys, a farmhouse, general store, and steam engine. Bradenton is also home to the South Florida Museum, which houses an aquarium, planetarium, and history museum and contains plenty of kid-friendly exhibits. Bradenton is home to Bradenton beach, and it is also quite close to other beaches in the area, like Anna Maria Island and Holmes Beach. Any kid - or adult - who has ever dreamed of being an astronaut will have to add Cocoa Beach to their list of destinations to visit. 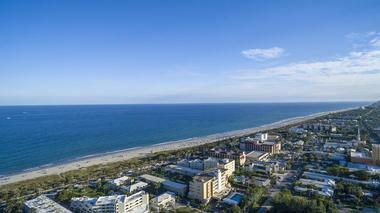 Cocoa Beach is located just south of Cape Canaveral, where spaceships are launched, and it is where visitors can find access to the Kennedy Space Center and its Visitor Complex. Inside the Visitor Complex, guests will find an amazing display of artifacts from iconic space missions and moment throughout history, as well as rockets. But even if space isn’t your thing, Cocoa Beach has something for everyone, with great beaches that are popular with surfers, and a beach pier that has shops and restaurants. 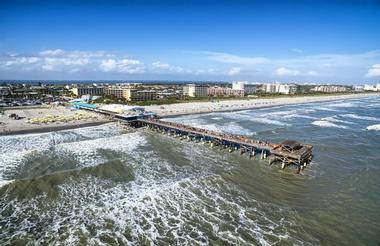 Families can go on a kayak tour, dig for dinosaur bones, learn to surf, or take a mini cruise at Cocoa Beach. Singer Island is not actually an island but a peninsula, located in Palm Beach County on the coast of the Atlantic Ocean. Like most coastal areas of Florida, Singer Island is rimmed by gorgeous white sand beaches that are flanked by hotels and resorts for visitors. Families have their pick of accommodation when it comes to places like these, but some resorts are more well suited to kids and families than others. While staying in Singer Island, visitors can make use of the Snorkel Trail at Phil Foster Park, where they will find sea life galore, or the Loggerhead Turtle Marine Center, where guests can learn about the native and endangered species of turtle. A combination of unique scenery and rich history helps to differentiate St. Augustine from many other coastal towns, and when visitors spend time walking the brick-lined streets they will certainly understand why. St. Augustine cherishes its European heritage and has worked hard to preserve it, from the centuries-old buildings to the commonly seen horse-drawn carriages, guests will feel like they’ve stepped back in time in all the best ways. For the more modern visitor there are plenty of highly-rated modern hotels, bed and breakfasts, and resorts to stay in while exploring this history rich area. 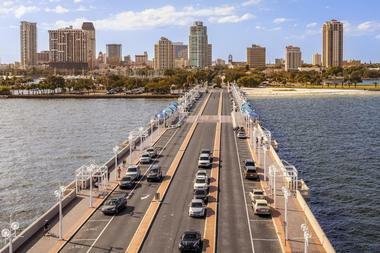 Florida changes every year, new attractions are created and new towns become popular for different reasons. St. George Beach, on the other hand, works hard to preserve ‘Florida like it used to be.’ This tourist destination keeps it simple, vintage, and authentic with mom and pop motels, boat rentals that can take you to fishing destinations brimming with grouper, flounder, whiting, trout, redfish, and more. There are many cottages to rent that can accommodate families of all size, and when the fact that St. George Beach combines affordable prices with quality restaurants and attractions is a win for everyone.